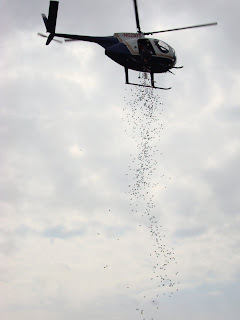 Two Grace Brethren churches hosted helicopter egg drops as an outreach in their community. BTW, Elk Creek’s event on March 30 with Jon and Kate Gosselin, of TLC’s Jon & Kate Plus Eight, is sold out. However, Pastor Silliman has 25 tickets left. Visit his blog to see how you can win a pair!